The exciting conclusion of 'The Flash' on Earth-2 comes to a thrilling end tonight as Cisco and Wells get a little help to save Barry and Jesse from the clutches of the evil Zoom. Meanwhile, Caitlin races to try and perfect Velocity-9 to give Jay the power he needs to take on the Geomancer back on Earth-1. 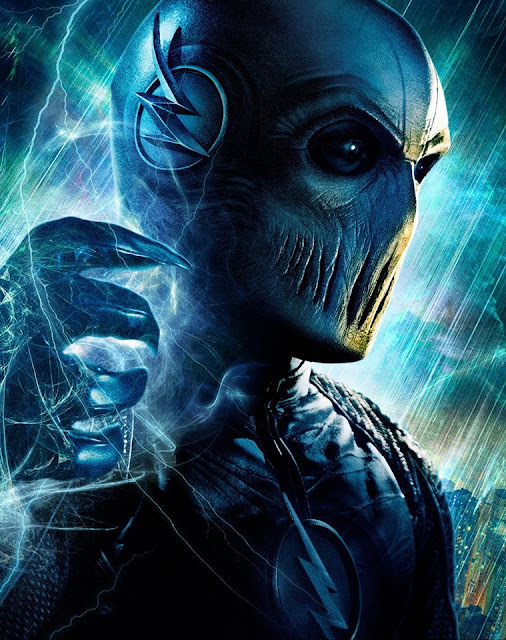 The CW released a poster of Zoom, a teaser, and a behind-the-scenes video below. Can Barry Allen help find himself? Find out on a new episode of The Flash tonight at 8/7c! Will The Flash make good on his promise? Find out Tuesday at 8/7c on The CW!